It’s been almost a year since I walked into my first Kundalini Yoga class, and I had no idea that my life would forever change. As I walked into class I was greeted by a radiant woman sitting on a bench. She was wearing all white and had such a beautiful peace about her that instantly put me at ease. We began the class by tuning in “Ong Namo Guru Dev Namo” I bow to the Creative Wisdom, I bow to the divine teacher within. Each Kundalini Yoga class is taught exactly as Yogi Bhajan instructed and how his teachers before him instructed. This keeps the integrity and effectiveness of the practice. 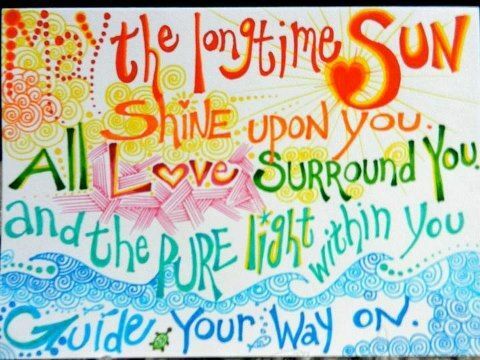 All Kundalini Yoga classes begin with a specific Kriya. A Kriya is a series of postures, breath, and sound that work together towards a specific outcome.There are Kriyas that stimulate the pituitary, help depression, make you radiant and more. As we began the Kriya I remember thoughts of judgment begin to surface. What am I doing here? There’s a lot of chanting going on. Am I doing this correctly? This is freaking hard. When is it over?! I couldn’t seem to escape my thoughts. During that first class I had moments when I wanted to give up. I had expected a class that would have a heavy emphasis on meditation and was not prepared for the physical and mental difficultly that I was experiencing–especially at 10am on a Saturday morning. At some point while I was jumping up and down (yes that was one of the exercises) I let go of the fear and of how ridiculous I felt and surrendered to the moment. Before I knew it, it was time for deep relaxation, meditation and the end of the class. Every class closes with a song called “Long Time Sun”. The teacher instructed us to sing it 3 times. Once to ourselves, to someone we have difficulty with and to the world. I’ll be honest and say I felt absolutely silly singing this song, but suddenly as I began to sing I became emotional. All of the feelings of self doubt, frustration and fear began to melt away. It was like something inside me shifted and opened. I walked out of that class a different person. I went back everyday that week. As I began to take more classes I noticed that I became calmer, listened better and everyone around me commented on my “glow”. Something I had worked so hard on achieving. I was hooked. 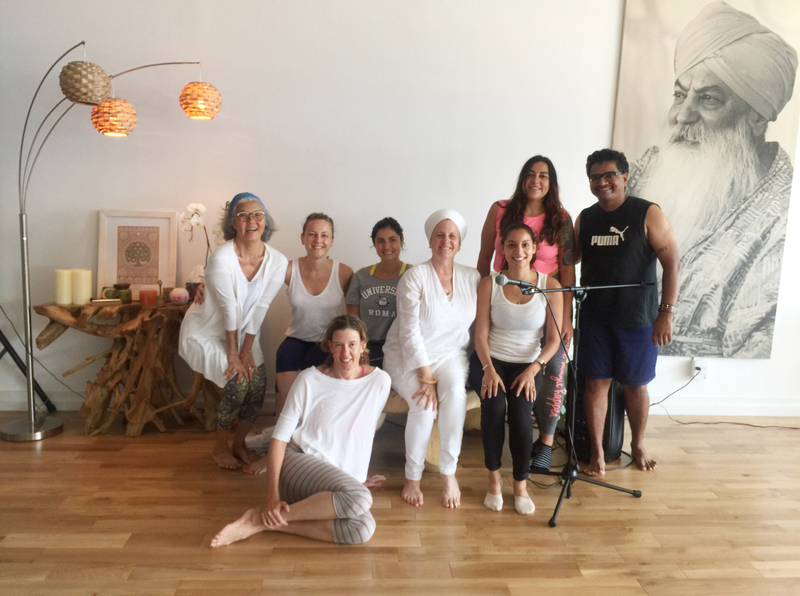 5 months ago I began Kundalini Teacher Training. It’s been one of the most rewards, yet difficult things I’ve ever done. Each day through my daily practice I am forced to face all of my imperfections and love each and every one of them. Yogi Bhajan was often quoted saying that through the practice of Kundalini Yoga and meditation we bring out the garbage. The same garbage that lives in our minds, gives us pain in our bodies and comes out in our skin. Throughout my makeup career I’ve seen how important inner happiness truly is. So many skin issues surface from diet, stress and unhappiness. The signs of worry and stress begin to age us prematurely and our bodies begin to succumb under the stress we put it through. Sometimes we even forget to breath. We forget how important it is to move our bodies, to get the energy moving. To be flexible with every challenge that comes our way. What are some things that you do in order to take out the garbage?